Bring sound to life with Mini Hi-Fi music from VTREK, you will enjoy the intense acoustics and innovative features in our products. 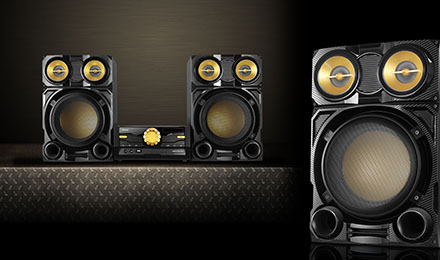 The powerful sound from a robust system of speakers designed to work together. And with features like Bluetooth technology, CD player, and multiple USB inputs, our home audio systems will give you a new music level and enjoy your new lifestyle.